We look forward to meeting you! Registration for 2019-2020 is taking place now. 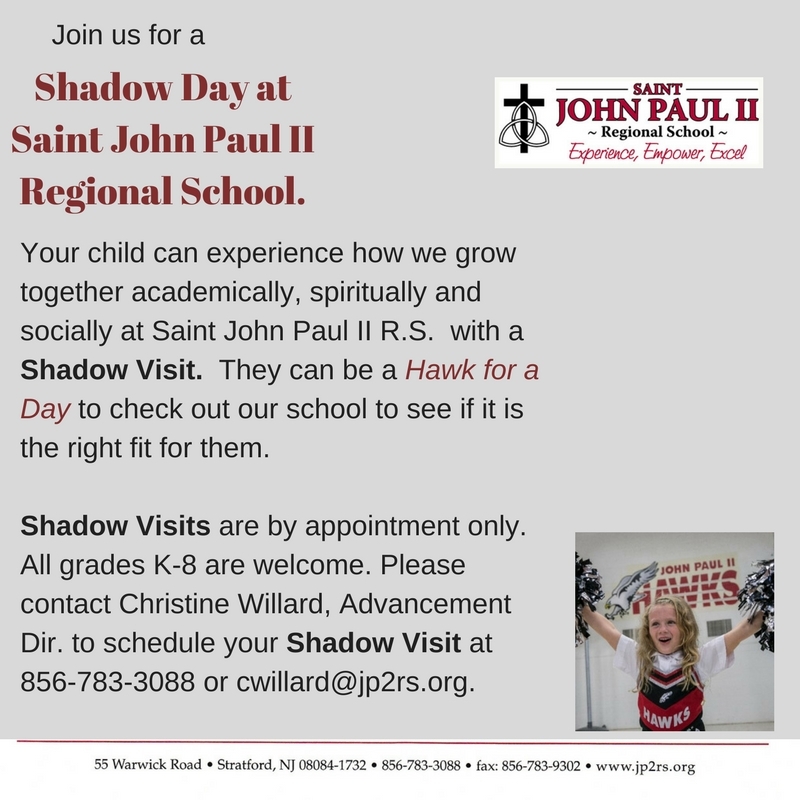 Please call our advancement director, Christine Willard at (856) 783-3088 or email at cwillard@jp2rs.org for more information about our program and admissions process, to schedule a campus visit, arrange a shadow day for your child, or have questions. "My son has received an excellent education at JP2 not only with strong academics, but being a good, kind, well rounded person and Christian. JP2 has exceeded our expectations and my son now loves to learn about God, which is so important to me. I know that JP2 is preparing my son for a bright future."